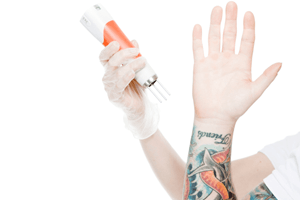 How do I prepare and what can I expect from the tattoo removal process? Leading up to your tattoo removal session you want to ensure that you stay out of the sun and avoid excessive tanning or sunburn on your tattoo. Going into any laser treatment with freshly tanned or burnt skin puts you at a higher risk of pigmentation or skin damage. Healthy and well looked after skin will ensure the best results. If you have a low pain tolerance, numbing cream will help to relieve the discomfort a lot. When I apply numbing cream before my session I make sure to spread a thick layer over the tattoo and rub it in when I’m applying it. 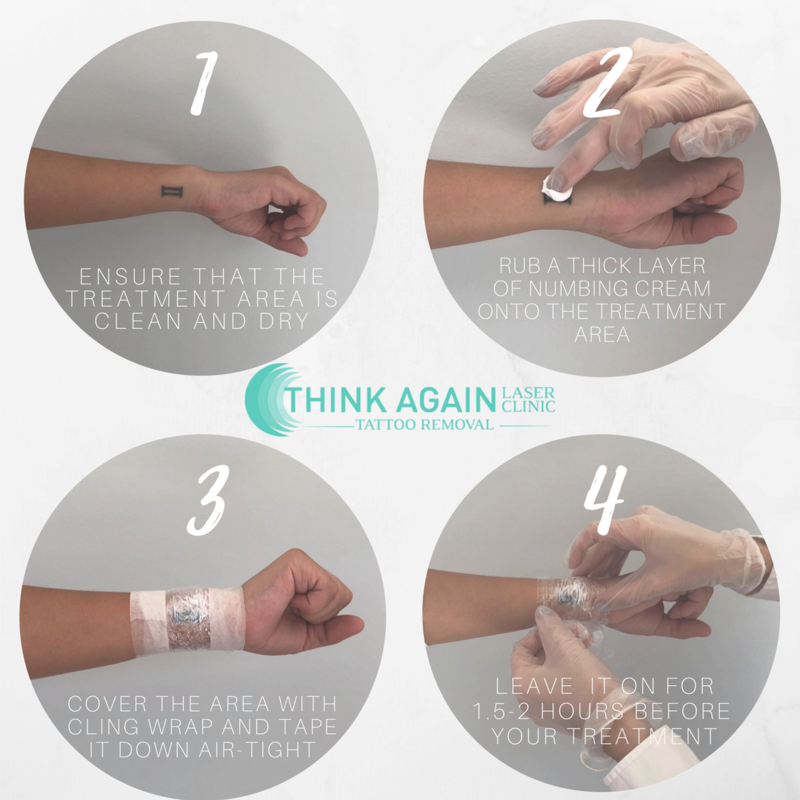 I then cover my tattoo with cling-wrap and tape it down tightly to stop the cream from rubbing off on my clothing and to keep it as close to my skin as possible. It is important to apply it properly, if not the numbing effect will be compromised. 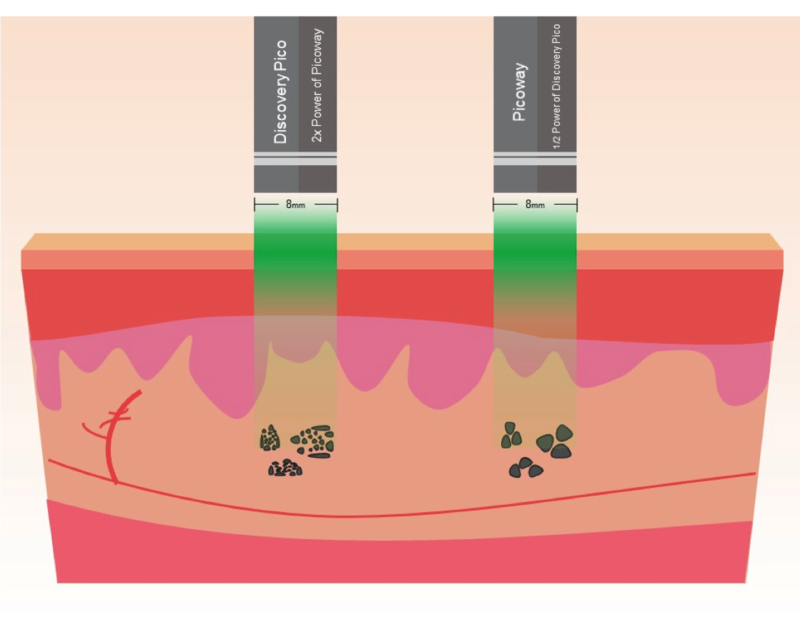 At think Again Laser Clinic we use the brand Anesten, as we have found it is the most efficient topical anaesthetic that we have tried. With 10.56% lidocaine, it is stronger than any other cream on the market. It has no negative side effects and doesn’t impact the performance of the laser. For the best results we get our clients to apply it at least 1.5 – 2 hours before their laser session. So you might be thinking, does numbing creams even work? The answer is yes.Most of the ‘over the counter’ creams from pharmacies have very little numbing effect for tattoo removal, as most of them only have around 5% Lidocaine (the numbing ingredient). In saying that, some of our clients will swear by these creams. 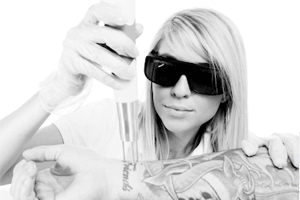 It may be a placebo effect but if it makes tattoo removal more comfortable, we are all for it. I have multiple tattoos that are going through the removal process, some areas hurt more than others. My wrist for example hurts more than my ribs and the least painful to be treated for me was my lower waist. Take this into consideration when using numbing cream or preparing for your treatment. Most popular are criminal tattoos among youngsters. 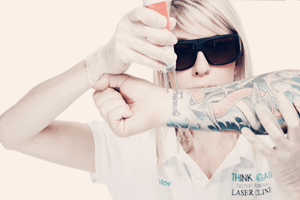 What is tattoo removal like? Tattoo removal isn’t as scary as it sounds, trust me! Coming from someone who is very bad with pain, I can easily sit through any treatments on one of my tattoos without any numbing cream. It definitely isn’t pleasant, but it usually isn’t as bad as people think it will be. The sensation is similar to when you accidentally splash hot oil on yourself while you are cooking, a stinging burning feeling. By the time you decided you’ve had enough of the pain the treatment is over. With numbing cream applied, all you can feel is the snapping sensation similar to a rubber band hitting your skin, it takes the edge off and you won’t cringe as much as you will without numbing cream. 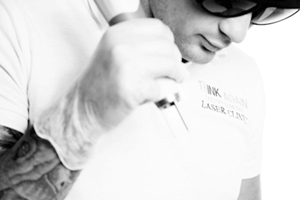 The laser moves over your tattoo very quickly and most clients are in and out in around 10-15 minutes! After your treatment is completed, one of our specialists will apply a thick layer of Acacia Post Laser which is an anti-bacterial, organic healing cream. Acacia helps to restore the moisture in the area and helps to relieve any itching. I usually put my tube in the fridge and apply it morning and night. For the first few hours after a laser treatment your skin will feel sore to touch similar to a bad sunburn. This feeling usually subsides after 1 or 2 days and your skin will continue to heal for the next 2 weeks. We always leave at least 6 weeks in between treatments as it gives the body enough time to chip away at the broken ink and remove as much as it can before the laser breaks it up again. The longer the better with tattoo removal, meaning – if you give your lymphatic system a little bit longer to remove the ink, your results will be even better! Remember , we have the same goal as you do. We want your tattoo completely gone in as little treatments as possible and as if there was never a tattoo there. All of our specialists are being treated for tattoo removal, so we can safely and confidently guide you through the process. Trust me, I have been in your shoes. 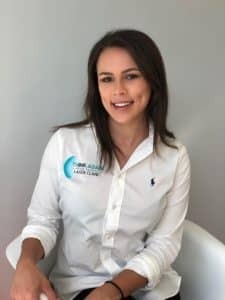 You are more than welcome to visit our Rozelle clinic and speak with me directly about my experience and to see my results thus far. How Long Between Tattoo Removal Treatments? What does tattoo ink contain?